Observation - Doubtful species of white fungus - Global. 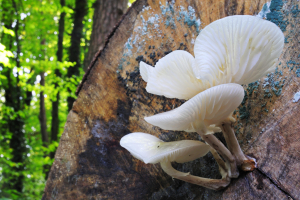 Description: White fungus growing from a beech log. White fungus growing from a beech log.